Across the world there is a heightened policy focus on the ethics of new technology, with new innovations expected to conform with data protection laws, shield young people and protect against online crimes. Immersive technology will need to answer these challenges and more. 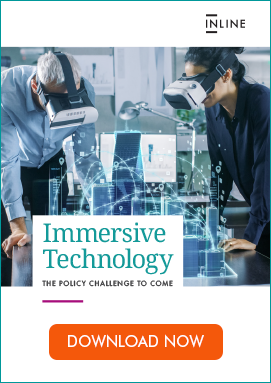 Finally, the report provides an insight into how the UK Government can not only regulate but bolster the industry, through financial support, fostering skills, provision of 5G, standards development and leading by example.